The fourth path to burnout is one that is more difficult to identify. 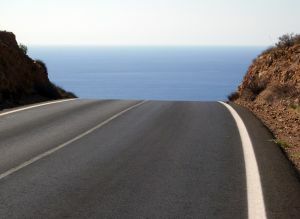 Most people believe they are on the right road until they’ve traveled quite a distance. Everything looks great until they round the bend and finds themselves in the middle of nowhere. That’s when the road gets bumpy, the weather turns nasty, the terrain abruptly turns from beautiful to ugly, and they can hardly see where they’re going because of all the fog. It’s easy to stop and hope the weather improves—but it doesn’t. And stopping only leaves them in that mess longer. More difficult, there are all kinds of detours and splits in the road, and it’s sometimes quite challenging deciding which way to go. Servants on this road to nowhere need to consult their map, to get out a compass, and to determine which direction leads them out of these endless dead ends. The more they depend on their instincts to choose the right direction, the more lost and confusing the road becomes. They won’t emerge from the fog until they ignore their instincts, trust the compass, and obey it. It might take awhile to get back on track, but once they’re headed in the right direction, it’s only a matter of time before the fog is gone and the road to nowhere is behind them. It is possible for Christian workers to do the right things for all the wrong reasons. Because they are doing the right things, it’s hard to recognize the fact that those things are being done without understanding or with immature motives. In fact, it is probable that our motives for serving Christ are tainted to some degree by our sin nature, and we are on the immature side until we grow in grace and become more experienced and seasoned in our understanding. Sooner or later, every growing Christian worker is faced with difficult trials that reveal areas of weakness and give great opportunity for change and growth. What he does with that opportunity greatly depends on what he uses to get a sense of direction, and that in turn will greatly determine the course his life will take. Sometimes it is only when everything we depend on for security and strength is taken away that we realize how little we are actually relying on Christ for direction and strength, or how little we actually trust Him to provide a way of escape. It’s during times like these that our motives and understanding can be transformed into something that, as Peter said, will make us “perfect [mature], stablish, strengthen settle … [us]” (1 Pet. 5:10). But this transformation will require a willingness to deliberately humble ourselves under the mighty hand of God and to believe we really can “commit the keeping of … [our] souls to him in well doing, as unto a faithful Creator” (1 Pet. 4:19). The only other option is to refuse the road on which God wants to lead us and to take a wrong turn. No matter what other road we decide to head down, it’s sure to be wrong. When we rely on our own understanding and choose a sinful way of escape, we always forsake our own mercy and choose the consequences of our error. And like Job, we’ll end up weary of our lives (Job 10:1); and like David, we’ll soon become weary of our groanings (Ps. 6:6). Our way of escape is the same as theirs—we must look “unto Jesus the author and finisher of our faith” (Heb. 12:2). In 1 Corinthians, Paul addressed believers who were having difficulty in their Christian lives because they hadn’t yet grasped difficult spiritual concepts. It’s not that they didn’t know facts—they had the lingo down pat. Like a lot of Christian workers, they may have been able to quote the Bible backwards and forwards. What gave them difficulty wasn’t a lack of knowledge but a lack of understanding and ability to apply truth to their lives when the going got tough. As a result, they were caught up in all kinds of strife and error. They saw God’s works but didn’t yet understand God’s ways. Like children, they could memorize and quote, but they had little depth of understanding and could apply little of what they were quoting. So while they could happily teach the Bible to others, they had great difficulty living it in everyday life or experiencing the fruits of Christian maturity (unless everything was going wonderfully). The Corinthian believers were really much like Israel in comparison to Moses. We learn in Psalm 103:6-7 that “the Lord executeth righteousness and judgment for all that are oppressed. He made known his ways unto Moses, his acts unto the children of Israel.” Stop and ponder that statement—God was able to explain His ways to Moses, who had mature understanding. Israel, on the other hand, wasn’t mature enough to grasp the reason behind the powerful things He was doing. They saw but didn’t understand the events God was allowing them to experience. They saw all the provisions of God but never associated the provisions they enjoyed with the wonder of God’s love and care or the absolute faithfulness of His wise management of their lives. When things got tough, they imagined that God had forgotten or rejected them. When things went well, they imagined they were responsible for the blessings and forget God altogether. They engaged in an immature kiss, made up a relationship with God, and remained bent on catering to their egos and selfish desires. Spiritual growth isn’t really what they had in mind. Like children, they lived for recess and cared little about the classroom that would prepare them for eternity. Paul called the Corinthians “babes” in Christ. Because they, like Israel of old, lacked understanding, he told them he was going to get back to the basics and lay a foundation that he prayed would bring them to maturity. He wanted them to know Christ, not just know about Him. He wanted them to experience a change in their perspective, in their priorities, in their motives, and in their allegiance. Paul deeply longed for maturity in these believers so their attention was turned from earthly things and people who in all of eternity would not matter to things that would matter for all of eternity. Most of all, Paul wanted these believers to understand that it was only in their relationship and union with Christ that they would experience true freedom and joy. Throughout Paul’s exhortations to the Corinthian believers, he urged them to reconsider many of their motives and to alter their priorities. Paul told them their Christian works would one day be tried at the judgment of Christ. Their works would either prove to be the real thing or be revealed as wood, hay, and stubble. The real thing would be made brighter by fire, while work done for wrong motives would be burned up. He talked about the wisdom of this world and how it is foolishness with God, and urged Christians to take pleasure and delight in knowing God, not in knowing men. Paul’s lessons directed them to consider the importance of faithfulness to Christ and the purpose behind the varying talents and abilities Christ Himself had given to each of them. He wanted them to recognize that there is a greater purpose to live for than one’s success and prosperity. It seems that pride and arrogance were a problem for many of these believers and was causing them to err in their judgment. Paul warned and admonished them not to rely on their own methods of dealing with problems but rather to deal with them as God instructed them. Over and over Paul alluded to the motives of the heart and the reasons one does what he does. He was teaching them to see the spirit of the law and not just the letter, for God wanted their hearts, not just their compliance. Then in chapter 10, Paul directed them to consider Moses, ancient Israel, and the many events they had experienced before entering the Promised Land. He explained that their history was recorded to provide examples and warnings for all believers in order to help them avoid the mistakes they had made in their desert experience. He warned them not to complain and to rebel against Christ, so they were not destroyed as some were then. At this point Paul gave warning to believers who thought they were standing strong but in reality were in danger of a fall. He wrote, “Wherefore let him that thinketh he standeth take heed lest he fall. There hath no temptation [trial] taken you but such as is common to man; but God is faithful [He cannot lie], who will not suffer [allow] you to be tempted [tried] above that ye are able; but will with the temptation [trial] also make a way to escape, that ye may be able to bear it. Wherefore [therefore], my dearly beloved, flee from idolatry” (1 Cor. 12-14). There is a wealth of encouragement in these few passages that provide tremendous help to servants who are experiencing weariness of mind and trials that drain one physically and bring one to the edge of despair. Burned-out Christian workers who are ready to quit in despair desperately need Paul’s message! Notice that Paul directed the believer to find hope not in himself but in the promises of a faithful God. He assured those who suffer that God does not allow a trial without also providing ways of escaping or coping with the trial. Therefore, their expectation and reliance must be on God and not on anything or anyone else. What Israel loved most was made manifest during those times of trial. Rather than looking with confidence for God’s way of escape or trusting God’s wisdom in what He was doing, she complained and demanded. And when she did not get what she wanted when she wanted it, she ultimately quit. As a result, this generation never inherited the land it could have enjoyed. When difficulties and perplexing situations exhaust our strength and understanding, we are most vulnerable to solving problems by quitting, complaining, finding comfort in indulging our selfish desires, or devising solutions that are in violation of God’s instructions. We like Israel often fail to overcome temptation in times of trial because we fail to obey God’s Word and to keep Him foremost in our love and worship. God wants our love and devotion, not because of the gifts He gives but because of who He is. Putting anything, including our own desires, before God is idolatry; therefore, Paul correctly identified this idolatry as Israel’s motivating sin and cause of despair. His writings not only exhort us to put our trust in the promises and shepherding care of Christ during times of difficulty and hardship but also warn us to flee idolatry at the same time. Paul concluded 1 Corinthians with a mature description and godly perspective of love as God loves us. He urged believers to follow after charity and to desire growth in their efforts to love God and to love one another. Without the love of Christ, Christian workers will find it impossible to love the unlovable, the immature, the selfish, and the sinful. So then we come to a favorite passage that offers comfort to those who labor among such difficult people. “Therefore, my beloved brethren, be ye stedfast, unmoveable, always abounding in the work of the Lord, forasmuch as ye know that your labour is not in vain in the Lord” (1 Cor. 15:58). The second letter Paul wrote to the Corinthians contains a much different message and addresses a more mature group of Christian workers. Evidently, they took Paul’s words to heart and grew tremendously, as evidenced by their obedience and application of Paul’s instruction. Chapter three and four contain more encouragement to those who are serving Christ. Paul mentioned the change that had taken place in believers’ hearts and declared the source of all change and all sufficiency to be of God. He wrote, “But we all, with open face beholding as in a glass the glory of the Lord, are changed into the same image from glory to glory, even as by the Spirit of the Lord.” (2 Cor. 3:18) The next verse begins Paul’s testimony as to why he did not faint and quit in light of all the difficulty he had endured. “Therefore seeing we have this ministry, as we have received mercy, we faint not” (2 Cor. 4:1). Paul’s focus was not on himself. He said plainly that he did not elevate himself but Christ Jesus the Lord. He gladly considered himself a servant for Jesus’ sake. Farther into the chapter, he wrote that the light of the glory of God is a treasure we who believe enjoy. What a treasure it is to have Christ! What a privilege to know the gospel and to be given the ministry of taking such good news to those who are living in darkness and sin! Our human nature is weak and frail, yet God so empowers and enables us that we can carry out the supernatural work of God. Clearly, such a miracle demonstrates, not our strength, but that the “excellency of the power may be of God, and not of us” (2 Cor. 4:7). Paul then described the kind of trouble that can be expected by every Christian who labors to help unbelievers and young Christians grow in grace. Yet, in spite of it all, Paul’s confidence was unshaken and his determination unmoved because he drew upon an inward renewing, a wealth of sustaining grace, comfort, and provision found in Christ. He told us plainly why he did not faint. He did not neglect to keep himself inwardly focused on Christ and on an eternal perspective. His thoughts were not on his temporary problems but on the purpose for his life and ministry and on the plight of souls that exist for all eternity. He wrote, “For our light affliction, which is but for a moment, worketh for us a far more exceeding and eternal weight of glory; while we look not at the things which are seen, but at the things which are not seen: for the things which are seen are temporal; but the things which are not seen are eternal” (2 Cor. 4:17-18). Before a weary traveler will ever find God’s supernatural sustaining grace, his perspective first needs to be aligned with Christ’s. Without a committed relationship with Christ and a clear sense of eternal direction, practical considerations about which step to take next will be unclear. All the advice in the world, no matter how good, will not heal a broken or discouraged heart. When Elijah became discouraged and wanted to quit, the ministering angel God sent didn’t scold or berate him. Elijah was allowed to sleep, was given food to strengthen his body, and was led to a quiet place to be alone with God. God didn’t leave him without direction, comfort, or sustaining grace. He provided all he needed to keep going and to finish the work he was called to do. Helping a Christian who is tired, wounded, confused, or perplexed starts with encouraging rest, providing plenty of genuine love and friendship, sitting down to eat some good biblical food together, and entering into prayer and intercession for spiritual growth and God’s supernatural grace. Earthly priorities will be impossible to sort out if one does not give first priority to one’s relationship with Christ. Amazingly, when our heart is fully trusting our Lord and when our focus is realigned upon the author and finisher of our faith, the circumstances of our lives begin to fall into place one step at a time, and we are able to clearly see those ways of escape that are always there. In closing, I want to quote a favorite prayer many workers can relate to and find comfort in and pray themselves. David knew all about Christian-worker burnout, and he triumphed over it. Read these verses slowly and listen to his heart and his prayer to the Lord. In Psalm 71, notice the many things he requests of God with full confidence that they will be provided. In thee, O Lord, do I put my trust: let me never be put to confusion. Deliver me in thy righteousness, and cause me to escape: incline thine ear unto me, and save me. Be thou my strong habitation, whereunto I may continually resort: thou hast given commandment to save me; for thou art my rock and my fortress. Deliver me, O my God, out of the hand of the wicked, out of the hand of the unrighteous and cruel man. For thou art my hope, O Lord God: thou art my trust from my youth. By thee have I been holden up from the womb: thou art he that took me out of my mother’s bowels: my praise shall be continually of thee. I am a wonder unto many; but thou art my strong refuge. Let my mouth be filled with thy praise and with thy honour all the day. Cast me not off in the time of old age; forsake me not when my strength faileth. For mine enemies speak against me; and they that lay wait for my soul take counsel together, saying, God hath forsaken him: persecute and take him; for there is none to deliver him. O God, be not far from me: O my God, make haste for my help. Let them be confounded and consumed that are adversaries to my soul; let them be covered with reproach and dishonour that seek my hurt. But I will hope continually, and will yet praise thee more and more. My mouth shall shew forth thy righteousness and thy salvation all the day; for I know not the numbers thereof. I will go in the strength of the Lord God: I will make mention of thy righteousness, even of thine only. O God, thou hast taught me from my youth: and hitherto have I declared thy wondrous works. Now also when I am old and grayheaded, O God, forsake me not; until I have shewed thy strength unto this generation, and thy power to every one that is to come. Thy righteousness also, O God, is very high, who hast done great things: O God, who is like unto thee! Thou, which hast shewed me great and sore troubles, shall quicken me again, and shalt bring me up again from the depths of the earth. Thou shalt increase my greatness, and comfort me on every side. I will also praise thee with the psaltery, even thy truth, O my God: unto thee will I sing with the harp, O thou Holy One of Israel. My lips shall greatly rejoice when I sing unto thee; and my soul, which thou hast redeemed. My tongue also shall talk of thy righteousness all the day long: for they are confounded, for they are brought unto shame, that seek my hurt.